You may not realize it, but there is nothing better for your air conditioning system than annual maintenance. Your AC system is much like your vehicle, and requires routine maintenance in order to perform its very best. When you work with the professionals at Boelcke Heating and Air Conditioning, you can trust that your home’s cooling system is in good hands. We provide you with the AC maintenance you need for effective, efficient comfort. When you work with us, one of our highly skilled technicians will provide you with a AC system tune-up that includes a thorough cleaning and testing of your system. 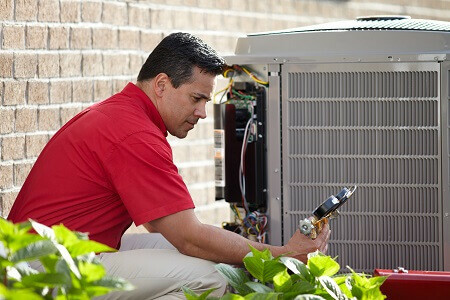 When you choose air conditioning maintenance, we’ll also be able to find any small concerns with your system and repair them promptly. That way, minor problems can be remedied right away – before they become larger, more expensive repairs. Choose Boelcke for your home’s air conditioning maintenance needs and much more. When you need air conditioning maintenance from a qualified cooling specialist for your home, you can trust Boelcke Heating and Air Conditioning. We can help meet all your AC needs, large or small. Simply give us a call at (269) 429-9261, and we will be more than happy to assist you.